Grafik were delighted to support jeans for Genes on Friday 18th September by raising a total of £65.45. Staff were charged for the privilege of wearing jeans and fined if they didn’t! 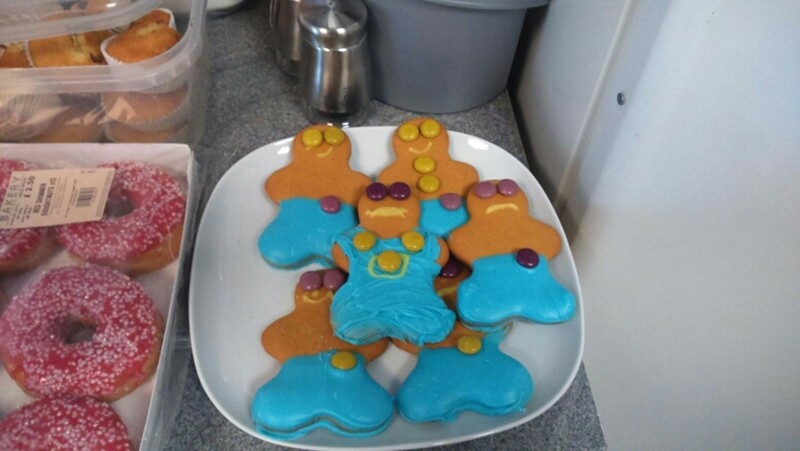 Homemade cakes and gingerbread men were the order of the day. Jeans for Genes Day funds a range of initiatives that improve the quality of life of children and families affected by genetic disorders. There are between 4,000 and 6,000 diagnosed genetic disorders. It is estimated that one in 25 children is affected by a genetic disorder and therefore 30,000 babies and children are newly diagnosed in the UK each year. Jeans for Genes runs an annual grant programme that is open to all UK support groups and charities caring for children with genetic disorders together with funding Genetic Disorders UK, the national charity dedicated to supporting families affected by genetic disorders. They also develop resources for school to make pupils more aware and empathetic of the difficult lives that other children lead.